Log home in the mountains - the only one in Colorado built with cypress logs shipped from the bottom of the Suwannee River in Mississippi. Cypress is waterproof and as close to indestructible as wood can get. You can actually feel the difference. This home was designed with family/guests in mind. Lots of room for entertainment, large great room, large loft on the 2nd floor, and aspen furniture to boot (optional). 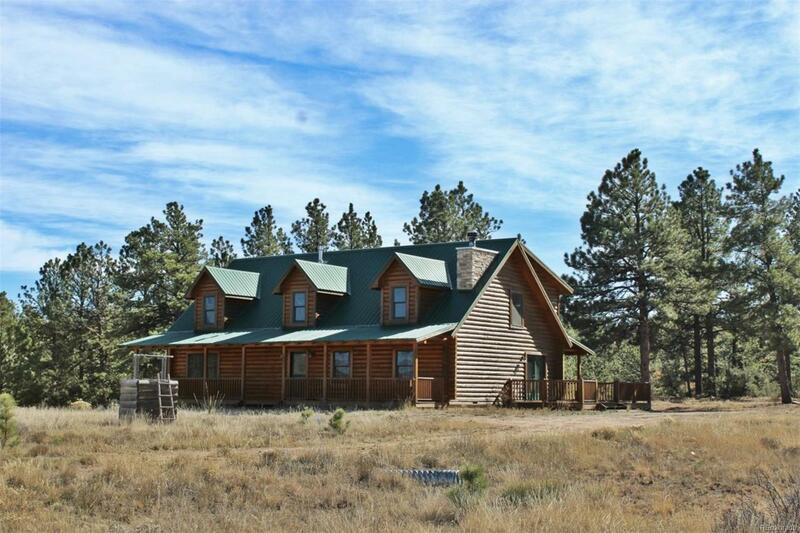 Enjoy this lovely 5.31-acre lot with easy access roads. Private yet with neighbors to call on if needed. Your Rocky Mountain Cabin on Steroids. Welcome home.